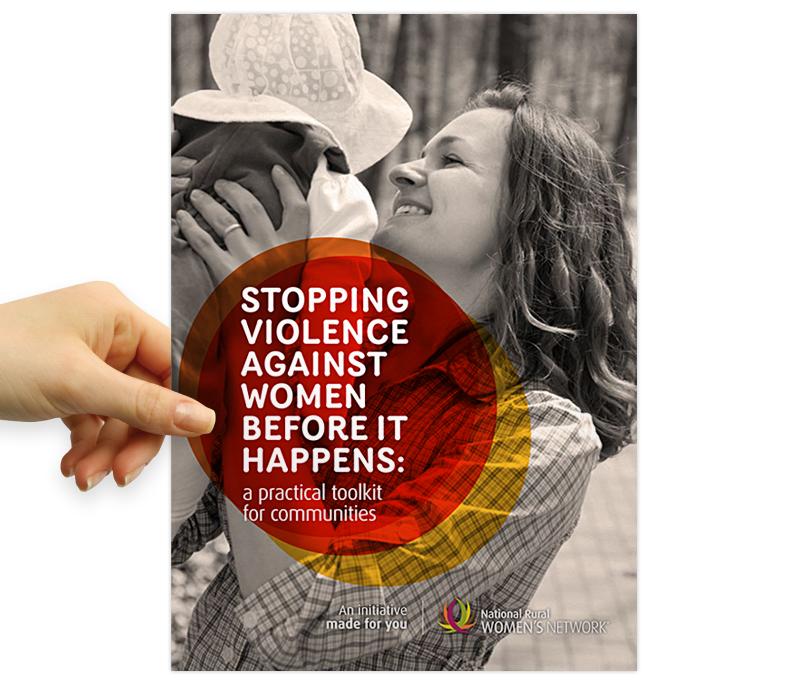 Designing and producing the Family Violence Prevention Toolkit was a great opportunity to be involved in creating a tangible product and important resource for communities nationally. 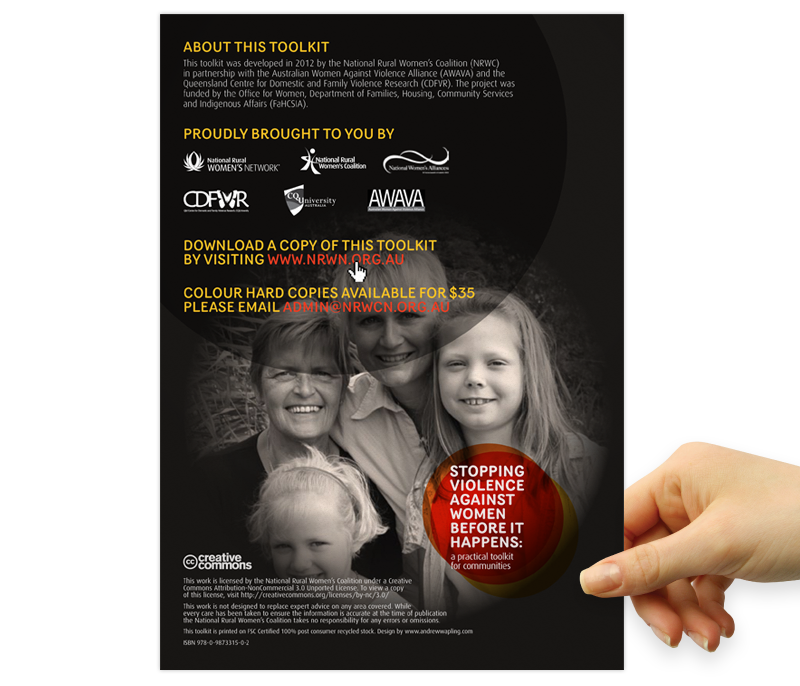 Stopping Violence Against Women Before It Starts: A Practical Toolkit for Communities was formally launched by Minister Julie Collins at the Country Women’s Association Australian National Conference, in Hobart. View ABC coverage of the launch below. The toolkit consists of a full colour presentation folder and 15 double sided fact sheets. A focus on legibility, reproducibility and pick up appeal were key in the design process. 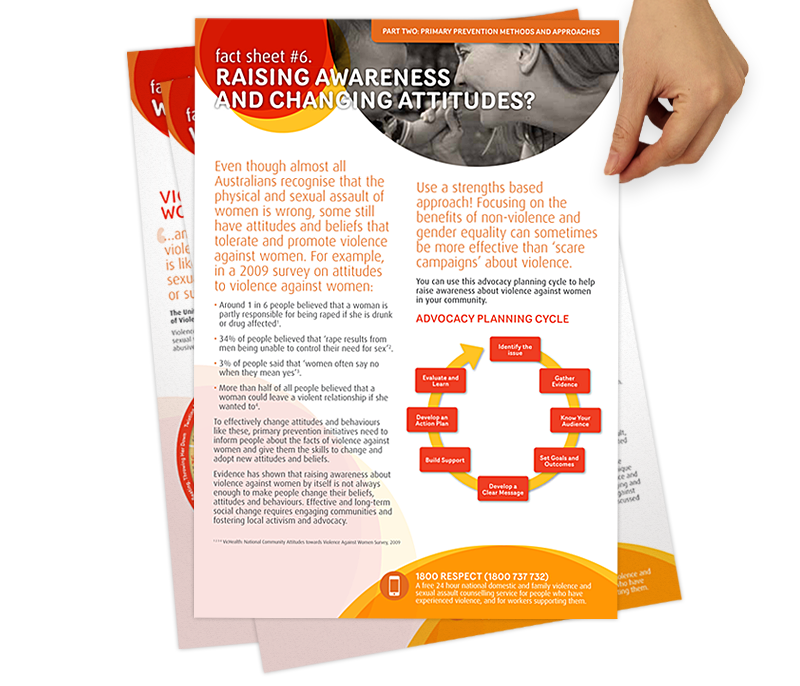 Hard copies of the toolkit are available for purchase and a free digital version can be downloaded from the National Rural Women’s Network website.